Back from the USA after his studies, William with Rajkumar Rodla visited the villages in Rajasthan, talking to different sets of artisans about his ... In September 1988 William registered the Bhadrajun Artisan's Trust. The Society to run The Fabindia School was registered in 1992. The Fabindia School is located in Bali, Pali district of Rajasthan, today it is co-educational, a senior secondary school with a capacity of 500 students. The school offers scholarships for girl students, in partnership with "The John Bissell Scholars Fund", established in 2000. 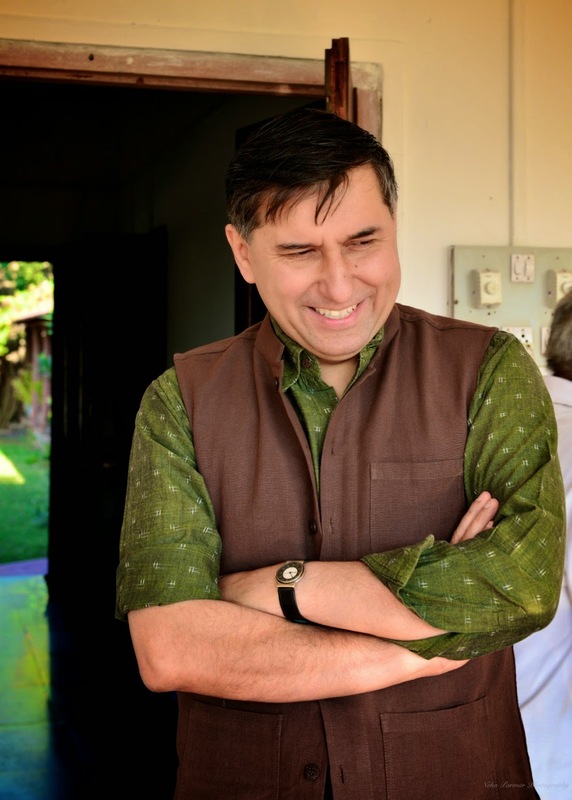 William is the co-founder of The Fabindia School, having collaboratively developed the vision and approach of the school since its inception. In addition to his unwavering commitment to the school, William is best known as a leading social entrepreneur and is the Managing Director of Fabindia Overseas Pvt Ltd, a textile company started by his father, John Bissell, in 1960. After completing his B.A. from Wesleyan University in Connecticut, USA in 1988, William returned to India with the goal of working in the rural crafts sector to address economic development issues. Living in Jodhpur, Rajasthan and traveling extensively throughout the state, William helped to form the Bhadrajun Artisans Trust (BAT) in 1988 which was initially envisioned as an artisans cooperative for leatherworkers and weavers based in Rajasthan. After encountering a number of limitations in running BAT as an artisans' cooperative, he changed his approach and helped to launch a Jodhpur based company in 1990 called Desert Artisans Handicrafts (DAH) in which artisans over the next 6 years became shareholders. DAH has grown to witness tremendous success for its artisan members whereas BAT has become solely focused on education, with The Fabindia School as its only project. From 1990 to 1999 William continued to work in the craft sector and investigated many different forms of "Community Ownership," finally finding a method of allowing small shareholders to buy into community-owned companies while gaining access to necessary capital funds. William worked with Banks to ensured that these unlisted companies could offer liquidity to their shareholders. It took another five years to work out an accurate valuation methodology for correctly valuing the assets of these community-owned companies, providing artisan shareholders with an opportunity to realise this value. In 1999 William became the Managing Director of Fabindia. Throughout his career, William has dedicated his energy to empowering the creative potential of rural India, by promoting access to quality education and providing economic opportunities for its traditional artisans.